MILWAUKEE (August 21, 2018) The new Harley-Davidson® FXDR™ 114 motorcycle delivers moto-aggression with a technical edge. 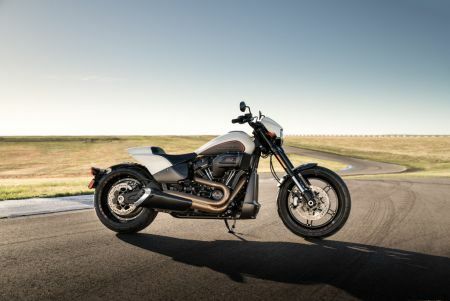 Like a drag racer crossed with a fighter jet, this unapologetic power cruiser brings a new level of all-out performance to the Harley-Davidson line-up. The FXDR 114 combines the unrelenting power of the Milwaukee-Eight® 114 engine with the liberal use of new weight-saving aluminum and composite components. Every aspect of performance is amplified. The FXDR 114 is the tenth Harley-Davidson model based on the Softail® platform introduced in 2018 and the latest in a line of 100 high-impact motorcycles the company plans to introduce by 2027.